Home buyers who have intentions of staying in their properties for more than a few years will undoubtedly want to have renovations performed at some stage. Regardless of whether these are going to be minor, such as a coat of paint, or major, such as adding on a room or two, it will be more beneficial to make use of cash out refinancing instead of an equity loan to cover the costs. When obtaining a cash out refinance, home buyers will be able to obtain a larger sum of cash than if they had opted for a home equity loan. This option allows home owners to obtain a new loan that will pay off the current mortgage, while also being able to take out the equity (the difference between what the home in question is worth and how much is still owed on the mortgage for it). The equity is then paid out to the home owner in the form of a lump sum of cash, which can then be used to perform any renovations that need to be done. In addition to receiving a large cash lump sum, home owners will be able to enjoy peace of mind in knowing that their cash out refinance will be a fixed rate loan option that can be taken for 15, 20 or 30 years at a relatively low interest rate. At present, it may even be possible to lock in interest rates of 4% or less. In some cases, opting for a cash out refinance could allow home owners to lower their current mortgage rates, which could enable them to pay their homes of quicker if so desired. Although each home owner’s tax and financial situations are unique, there are some instances where opting for a cash out refinance will allow them to obtain a tax deduction for the interest charged on it. However, the only way to determine this would be to consult with a tax specialist. Home owners who opt for cash out refinancing will find it a little easier to plan their monthly finances and expenditure as well, as their cash refinance amount and existing mortgage amount will be rolled into a single convenient payment that will need to be covered each month. 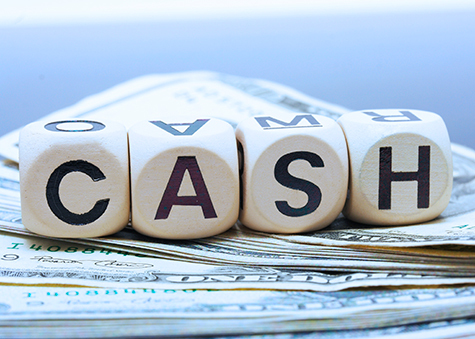 Home owners who are considering a cash out refinance should ensure that they only deal with lending agencies who are registered and reputable. This will ensure that they receive the right advice and that the loan application process is performed as smoothly and professionally as possible. It is also important for home owners to choose a lending agency based on reputation instead of on cost, as those that offer rates that seem to be substantially lower than those of other lenders may not always provide the best service. Home owners who would like to have renovations performed on their properties and are considering the option of a cash out refinance should not hesitate to contact RateWinner today.